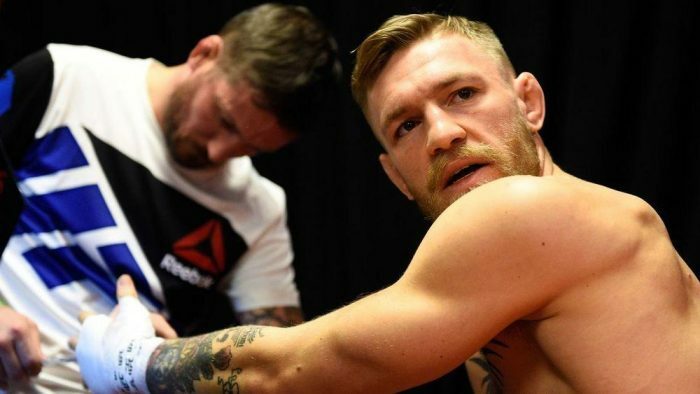 John Kavanagh says he might have made a mistake in preparing Conor McGregor To Fight Khabib Nurmagomedov. John Kavanagh has spoken about Conor McGregor’s preparations for Khabib Nurmagomedov and he thinks that he may have made a mistake getting his fighter ready to face the Russian. McGregor failed in his attempt to recapture the UFC lightweight title when Nurmagomedov submitted him in the fourth round of the championship bout at UFC 229 earlier this month. Much was made about how McGrgeor would deal with Nurmagomedov’s grappling before the bout and on the night it was the Russian’s wrestling that proved to be the difference. Speaking to the Independent.ie earlier today, Kavanagh admitted he may have made a mistake in preparing McGregor to face Nurmagomedv..
“In preparation for the fight, when I watched Khabib’s style, I think I became too defensive. I was thinking how to not lose rather than thinking about winning,” Kavanagh said. Whether or not McGregor will pursue an immediate rematch remains a mystery. Kavanagh revealed that he’d not spoken face-to-face with McGregor since the fight and that he was yet to learn whether “The Notorious” wants to pursue another crack at the Russian straight away. “A rematch? I guess it really depends on Conor. We’ve had a few text exchanges since the fight, but I haven’t had a face-to-face with him and, when we do, that will be my conversation with him,” Kavanagh said. “I’ll ask him what his motivation is. Let’s hear how much he wants to do. Is it one more fight, is it five more?